Directed by Ziad Doueiri, this is a drama based in Lebanon in the mid 1970’s. 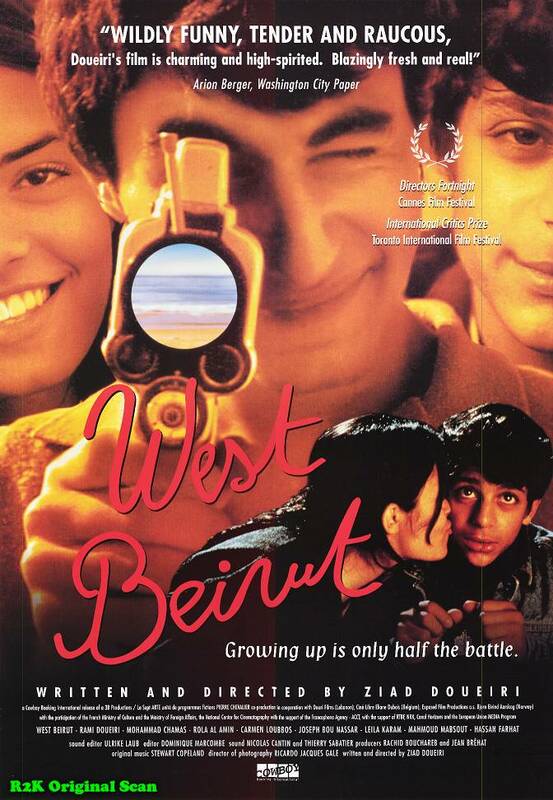 It revolves around the start of the civil war that divides Beirut in east/west and how it gradually affects everyone involved. The film starts out focusing on two students, young guys who like fooling around. They are pretty ridiculous kids. Tarek, the more rebellious of the two- acts out while the school is singing the French national anthem and causes quite a stir among the student body. He’s just that type of kid. His friend and supportive partner in crime, Omar- is always just behind him. At the start of the civil war, the city of Beirut is split into east and west, west being the side where the majority of the Muslim families lived at the time(and might still…?). Considering both boys are from Muslim families, Tarek coming from a little more of a traditional home and Omar less so.. This is where their lives are focused. But with the growing tensions between the two sides, things are eventually getting hard. Its beginning to get more difficult to get around, the schools are shut down (which the boys find absolutely amazing) and the parents of the two eventually start losing their jobs. But because of life, it still goes on and we have the introduction of a new girl part way through. This young girl is around their age, moves in to their building. Tarek is immediately taken back from her and you eventually find out that she’s moved here to get away. Her father have passed away, and she and her mother needed a newer life. It baffles me why they chose the new life in a complicated Beirut.. but they probably didn’t know what they were getting themselves into. It’s a common theme through out the entire story. You understood that the characters didn’t really know what was happening next, and they just made decisions for the day of. The three of them have a couple adventures. Mostly involving trying to develop this special type of film for their movies that they were making. Because of the type of film, they had to venture into the east part of the city- getting near some complications with iffy men most of the time. But it was worth it for them. There’s also this whole adventure for Tarek, who somehow finds himself in a brothel in the the east part of two, meeting an infamous lady. He runs back to Omar, only to brag. He brings both Omar and May (the young girl) back to meet her and to see this. Slowly though, things start to melt and it feels like it all happens at once. It’s one of things I don’t know whether I liked about this film. The ending was abrupt, maybe they didn’t have anything else to tell or show about whats been going on. It makes sense, telling the story before the main story. I really liked this film for the way it was filmed and how much I enjoyed the characters. They were easy to relate to (especially the parents of Tarek-) and there was a sense of … I want to say romance, but it really wasn’t romance in the traditional sense of the word. It might have been me falling in love with the surroundings, backdrop and that different lifestyle they all lead. I immensely recommend this move. I’ve seen it a couple times, and I have yet to get bored of it.